Bridgeport, CT - Fairfield County-based philanthropic organization Near & Fair Aid recently awarded a $22,000 grant to The Center for Family Justice in Bridgeport, which provides crisis and supportive services to victims of domestic and sexual violence and child abuse in six local communities. 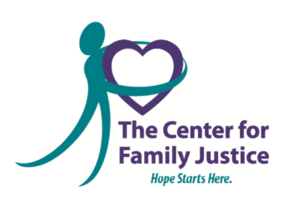 Each year CFJ provides services to more than 5,000 women, men and children impacted by trauma and abuse in the communities of Bridgeport, Easton, Fairfield, Monroe, Stratford and Trumbull. CFJ operates Kathie’s Place, a 15-bed safe house for individuals and families fleeing domestic violence. It also staffs 24-hour confidential crisis hotlines for both domestic and sexual violence. Besides offering these crisis services, CFJ also works to end the generational cycles of abuse through self-sufficiency programs, community education and Camp HOPE America-Connecticut, the first trauma-informed camp and mentoring program for children impacted by domestic and sexual abuse. Near & Far Aid is an all-volunteer fundraising and grant-making organization dedicated to eliminating the causes and effects of poverty in Fairfield County. It accomplishes its mission by identifying and funding programs that work to provide life’s most basic necessities as well as those that seek to achieve lasting change. Since 2000, the philanthropy has donated more than $14 million to Fairfield County nonprofits.